On Sunday morning, catching up on your sleep or cozying up on the couch for a Netflix marathon appeals much more than trekking out to the supermarket. But one quick trip is less stressful and time-consuming than attempting to navigate the produce section and express lane multiple weeknights after work. And if you go with an organized grocery list and meal plan, you never have to stare into your fridge wondering, "What's for dinner?" or resort to take-out. To see just how easy—and delicious and healthy—it can be, use the grocery list and meal plan below. No crazy ingredients or complicated recipes here! And if you make the recipes when you have time on Sunday, you can toss together the rest of the week's meals in minutes by combining staples you have on hand with leftovers. 2. In a large mixing bowl, combine fennel seeds, red pepper flakes, salt, garlic, and oil. Add chicken thighs and toss to coat well. Spray a baking sheet with nonstick cooking spray, and arrange chicken in a single layer. Roast until chicken registers 165 degrees on an instant read thermometer, about 25 to 30 minutes. 1. Preheat oven to 400 degrees. Line two baking sheets with parchment or nonstick aluminum foil. 2. In a large mixing bowl, toss together broccoli, cauliflower, sweet potato, and olive oil (working in two batches if needed). Season to taste with salt and pepper. Divide mixture evenly between prepared baking sheets. Roast until tender and beginning to brown, about 30 minutes. Let cool and store in sealed containers in the refrigerator for up to a week. 2. Place rice in an 8-by-8-inch baking dish. Bring water to a boil, and add to rice with oil and salt. Cover tightly with aluminum foil and bake for 1 hour. 3. Remove from the oven and stir in parsley. Let cool and store in sealed containers in the refrigerator for up to a week. Dinner:Roast vegetable frittata: Chop 1/2 cup leftover roasted vegetables and stir into 2 beaten eggs. Pour into a small nonstick skillet and bake at 350 degrees until set, about 12 minutes. Dinner:Roast vegetable quesadilla: Chop 1/2 cup leftover roasted vegetables, and toss with 1 ounce shredded low-fat cheddar. Place between 2 tortillas and cook in a skillet over medium heat until lightly brown on both sides. Serve with 1/8 mashed avocado and salsa. Lunch:Hummus and pita: Puree 1/2 cup rinsed and drained chickpeas with 1 teaspoon olive oil, 1 small clove garlic, and juice of 1/2 lemon. Dinner: Italian chicken soup: Stir 1 crushed clove garlic, 1/2 cup diced leftover chicken, 1/2 cup leftover roasted vegetables, and 1/4 cup leftover brown rice into 2 cups low-sodium chicken broth. Heat over medium-low heat until steaming, about 5 minutes. Dinner:Chicken with tomatoes and olives: In a sauté pan, combine 1 teaspoon olive oil, 4 chopped black olives, and 1 anchovy fillet. Add 1/4 cup tomato sauce and 1 leftover chicken thigh, and cook until hot. Top with chopped parsley. Lunch:Toss 1/4 cup rinsed and drained chickpeas, 1/8 diced avocado, and 1 tablespoon all-purpose vinaigrette, and serve over salad greens. Dinner:Brown rice and roasted vegetable casserole: Combine 1 cup leftover roasted vegetables, 1 cup leftover brown rice, 1 egg, and 1/4 cup parsley in an oven-safe skillet. Top with 2 tablespoons shredded low-fat cheddar. Bake at 350 degrees until warmed through and cheese is melted, about 8 to 10 minutes. Reserve half for lunch tomorrow, and eat half with salad greens tossed with 1 tablespoon all-purpose vinaigrette. Dinner:Pita pizza: Spilt 1 pita, and spread a thin layer of tomato sauce over each half. Top with leftover roasted vegetables, chopped olives, and 2 tablespoons grated Parmesan cheese. Broil until pizza is hot and cheese is browned, about 2 minutes. 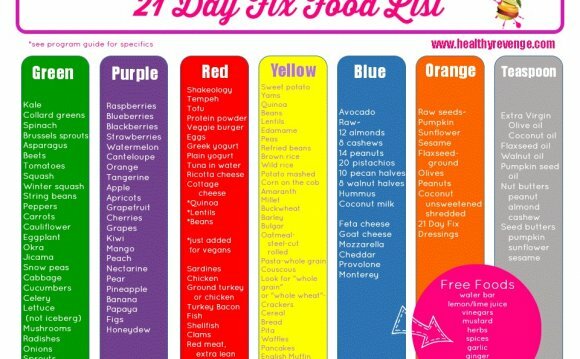 YOUR FULLYRAW SHOPPING LIST & MEAL PLAN!